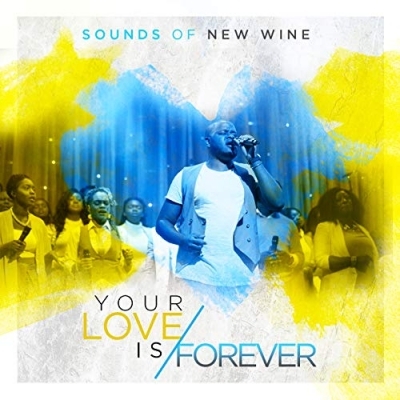 Hot on the heels of the successful release of their debut single, 'God of the Impossible', Sounds of New Wine are back with an exciting and energetic new single, 'Your Love Is Forever', set for release on 16th November with an official music video. 'Your Love Is Forever' is a single taken off their highly anticipated debut album, 'The Siege is Over', which is ear-marked for release on 30th November 2018. Sounds of New Wine, the music ministry team of London-based Pentecostal Church, ‘New Wine’, delivers a message of the unconditional and everlasting love of God in a captivating musical combination of dance, reggae and hip hop with a sprinkle of electronica - evidencing the team’s stylistic versatility. Lawrence Johnson, co-founder of the renowned London Community Gospel Choir (LCGC), now creative director the Church’s music ministry said: "We had real fun doing our first music video, especially as there was a lot of food at the shoot, lol! We wanted to show some of the more fun side of the Album. We are real people and we have emotions and life situations like everybody else, but through all of our various situations, we can still smile and dance because we believe that God’s love is still forever." Made up of a team of 135 members, SONW is keen for the single to deliver a message of hope, encouragement and confidence in God, as they declare through song, that there is an army of people who will triumph over the difficulties of life, because they know the love of God. “Your Love Is Forever” was produced and co-written by London based producer, Goz-i-am with Lawrence Johnson as executive producer. The lead vocal is delivered by Glenn Gwazai.